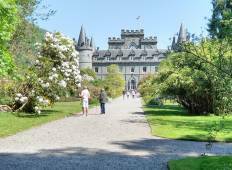 Find a culture trip that explores Loch Lomond & Trossachs National Park. There are 13 cultural tours to choose from, that range in length from 3 days up to 11 days. The most popular month for these tours is June, which has the most tour departures. "This was the first time I've done a multi-day guided tour, and it was wonderful!..." "with my grand-children. Thank you all very much. Marlene H Australia." "The tour, especially the guide, exceeded our expectation." "The small size of the tour allowed the guide to be flexible and accommodate desires..."
"The 8-day tour was very good. I had the pleasure of being guided by Neil and Fergie,..."
"It was fun and i loved Edinburgh." "A very lovely tour and guide. 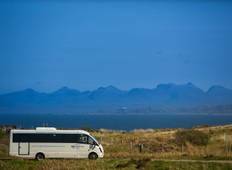 I thoroughly enjoyed Aileen's stories and music as..."
"Fergie was our tour guide, he has the gift of storytelling, this Scottish man enchanted..."
"Our tour of Islay and the whisky coast was beyond our expectaions. It was all due..."
"It was good. Loved the scenes where Outlander and Harry Potter were filmed."